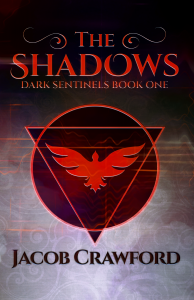 If you’ve ever considered getting yourself (or another paranormal sci-fi fan) a copy of The Shadows, now is the perfect time–from November 15th through December 25th, 100% of all proceeds from the sale of this book The American Foundation for Suicide Prevention. Suicide is a topic that is painfully close to my heart. I have lost loved ones and friends to suicide, and watched many more of my friends fight uphill battles against it. I have seen first-hand the pain that suicide causes, both for those struggling with it themselves and for those left behind in the aftermath. And even if I had no personal emotional ties with this kind of foundation, I would still want to do this promotion: It’s a good and worthy cause that I feel should be supported, and both myself and my co-author are thrilled to participate. I’ve never done such a promotion before, but I’m excited to get to support such an important cause. And the best part is, ours isn’t the only book that you can buy to contribute! You can also swing by Tim Baughman and Rebecca MacCeile‘s websites; they’re participating as well and have excellent books worth checking out. Also, the hilarious podcast, We Were Kind Of A Big Deal In College, is doing a promotion, so check all of them out. With the holidays coming up, you can do two great things: Check a few names off your gift list (books are always a great gift! ), and support a wonderful foundation that needs all the support it can get, especially this time of year. Thank you for your support of this noble cause–feel free to spread the word and buy lots of books!